In February 2018, the manufacturer of analytical instruments in the USA, Quantachrome Corporation, USA, was sold. The May 2018 marks the end of more than 25 years of cooperation of that company with the independent German company Quantachrome GmbH & Co. KG and requires a restructuring of the company. 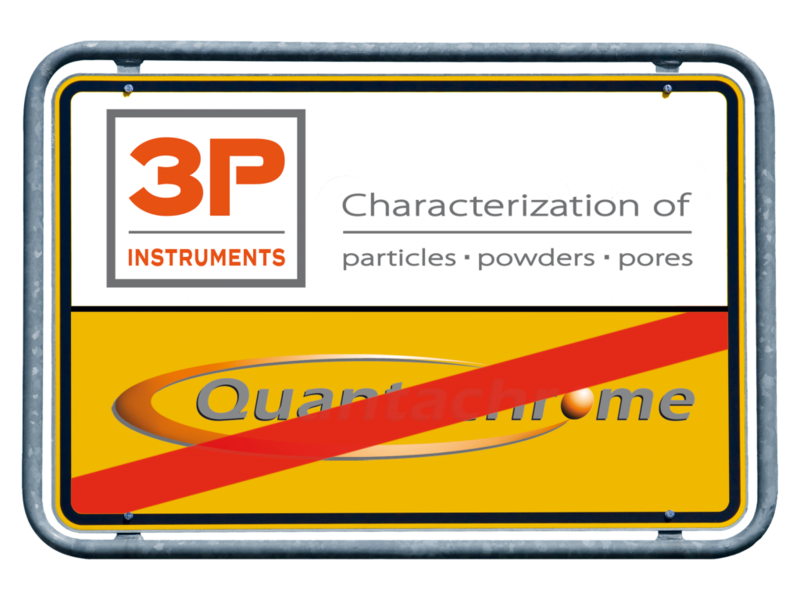 Quantachrome GmbH & Co. KG, situated in Odelzhausen, has successfully completed this restructuring and transition by changing into 3P INSTRUMENTS GmbH & Co KG in a matter of weeks and is on course for future growth. „3P INSTRUMENTS starts with a new name into a new phase of development and will make its public debut on ACHEMA in hall 4.2, booth F36,” stated by Dr. Dietmar Klank, CEO. 3P INSTRUMENTS stands for „Characterization of particles-powders-pores“ and a stronger orientation towards international markets. Company growth in recent years was based on the traditional sales and service model, complemented by increased turnovers in laboratory contract analysis and its own R&D with their own instruments. As a German market leader in the field of particle analysis this success is now to be adapted towards other European countries. All current terms and conditions for business, sales and deliveries as well as the addresses of the company headquarters and all offices remain valid, only the company name and label will change. 3P INSTRUMENTS is looking to continue its excellent relationship with customers, partners and suppliers and will regularly report on current developments under www.3P-instruments.com. Sales and laboratory contracts as well as service, maintenance and calibrations will be conducted as before.